The Future’s So Bright, you gotta wear shades! Join this virtual 5k/10k/Half Marathon to raise money and awareness for an organization that believe happiness is not just a state – it is something you can learn. 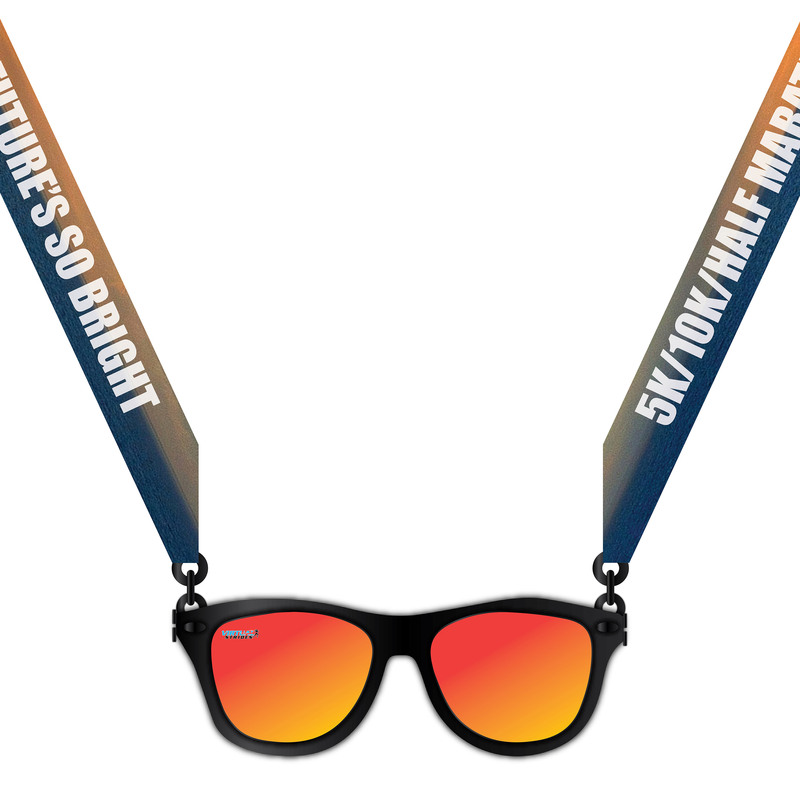 Run or walk anytime and anywhere you want to earn a full-sized sunglasses medal. You won’t be able to see through the lenses, but this sunglasses medal has folding arms so you can wear them for a fun photo op. But wait, there’s more! 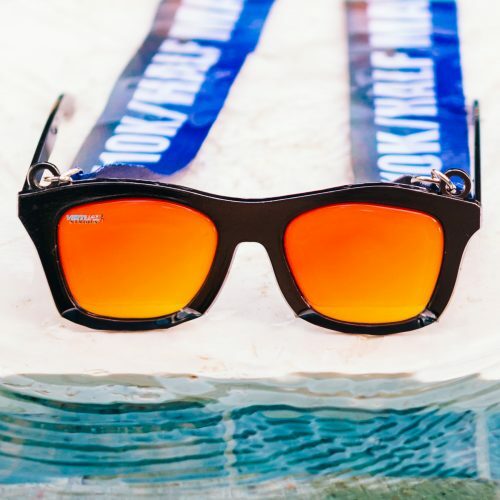 The sunglasses’ arms have a Walt Whitman quote engraved on them. If you open the arms and find the word “WINNER” engraved on the inside, you are one of 10 lucky participants who will win a Virtual Strides Prize Package including a Virtual Strides medal hanger, a Virtual Strides visor, and a $50 Gift Card! Winning medals will be randomly distributed to participants throughout the race period. For complete contest rules and details, please read the Official Rules. Found a winning medal? Fill out the Prize Claim Form by 11:59 p.m. EST on September 30, 2018 in order to claim your prize! The World Health Organization declares depression the leading cause of suffering worldwide. Project Happiness provides schools, organizations, and communities engaging, easy-to-use science-based wellness solutions. Happiness is not just a state – it’s a skill that anyone can learn. Project Happiness’ school curriculum has been downloaded in 120 countries and reaches 2.5 million people daily through social media. 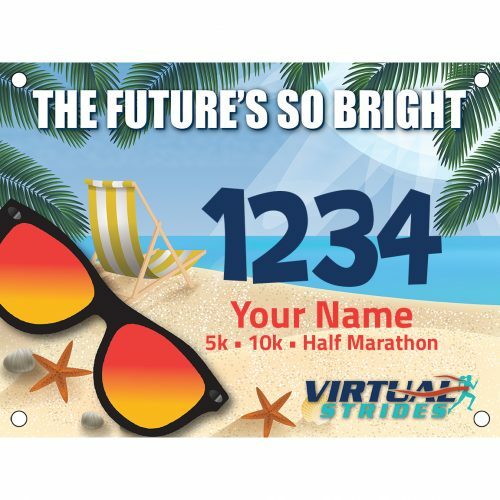 A portion of the proceeds from this virtual race (at least $5 from each registration) will be donated to Project Happiness. For more information about this charity or to make a direct contribution, please visit ProjectHappiness.org.